The following interview with Changemaker Dr. Lorrie Frasure-Yokley is the last of a two-part series. LASS: What do you study, and why do you study it? LFY: I fell in love with the study of politics. Of course, I never started that “good government job” [at the United States GAO] with the great benefits and the longevity. I decided to jump both feet into academia at the University of Maryland, College Park. In my third year at the University of Maryland, I presented my research [at the Midwest Political Science Association] on a panel with a Cornell University faculty member, Michael Jones-Correa [now at the University of Pennsylvania]. He noted that he would be in the D.C area for a fellowship year at the Woodrow Wilson Center, and he needed a research assistant. I worked with him at the Woodrow Wilson Center my third year of graduate school, and together, we collected over 100 interviews of elites in suburban jurisdictions around Washington, D.C. I knew there was a dissertation project in this research and data collection efforts. I left University of Maryland in the end of my third year, and began my fourth year at Cornell where I continued working with Jones-Correa on his Russell Sage Foundation project, and working on my dissertation. With the support of a Ford Foundation Dissertation Fellowship, I completed my dissertation in four and a half years. LASS: What did you do after you finished your doctorate? LFY: After finishing my PhD, I started a two-year Provost’s Academic Diversity Postdoctoral Fellowship at Cornell University. After my post-doc, I started a tenure track job here at UCLA, arriving to campus in January 2008. I became the first African American female and first woman of color in the history of the political science department to obtain a tenure track position. Then, in 2015, I became the first African-American woman, and the first woman of color in the history of the political science department to earn tenure and promotion. 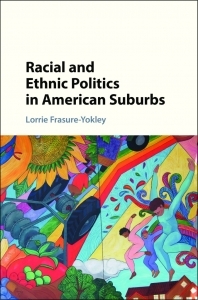 LFY: In 2015, my book Racial and Ethnic Politics in American Suburbs was published by Cambridge University Press. It incorporates interviews, focus groups, archival work, as well as demographic statistics. It is a study of suburbia and it’s changing demographics; why different groups move to particular areas, how they get along with their neighbors, and how they perceive the government to respond to their needs and concerns. The second half of the book examines local government responsiveness to new spatial location patterns through three case studies: day labor, language access, and education). LASS: Shifting gears a little bit, tell me a little bit about your current research. We had talked a little bit earlier about the research project, before this interview. What is it? And why do you do it, and what’s its impact? LFY: One of the projects that I’m working on is called the Collaborative Multiracial Post-Election Survey (CMPS). In 2016, following the Presidential election, we fielded the first 100% user content driven, multiracial, multiethnic, multilingual, post-election survey of political attitudes and political behavior, but also it includes questions related to Black Lives Matter, immigration, healthcare, and a variety of other political and policy related topics. 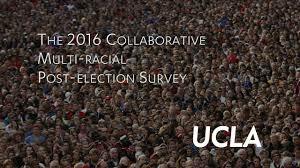 It’s the first cooperative survey with a specific focus on racial and ethnicity politics. We brought together a group of 86 contributors who purchased content on the Collaborative Multiracial Post-Election Survey. These 86 contributors were across 55 Universities and colleges, including Historically Black Colleges and Universities (HBCUs), Hispanic Serving Institutions (HSIs), smaller teaching colleges, as well as large R1s, and Ivy Leagues. It is such a great group of scholars, from over 15 different disciplines participated in developing the survey instrument by purchasing content across samples of Blacks, Latinos, Asians, and Whites. 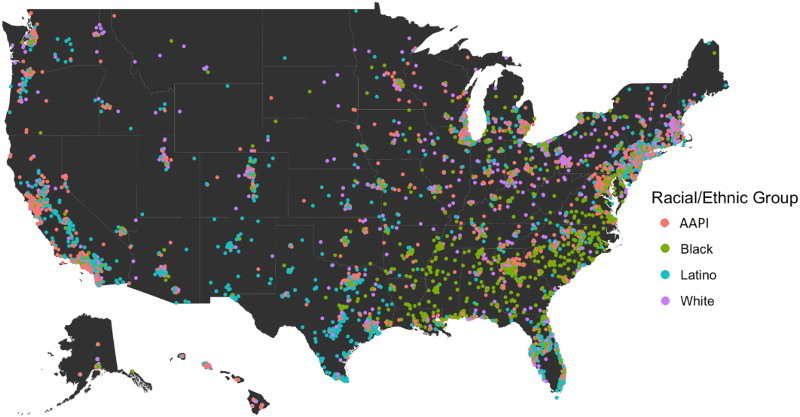 One of the unique characteristics of the survey is not just a high-quality national dataset with large samples across race and ethnicity, including over 10,000 respondents. But, this survey is a cooperative in the true sense of the word, meaning that for scholars, whether they purchased one minute of content, or seven minutes of content, everyone who purchased onto the survey received all of the data, 10,000 cases, 394 questions. Everybody shares all of the content, which is embargoed to the group until 2021. However, all 86 scholars can coauthor with whomever they like– both within and outside of the cooperative, so long as the CMPS contributor is a co-author on the publication or research project. We see this as a way to further grow our academic pipeline and create access and research opportunities, particularly for graduate students, post-docs and junior faculty. The CMPS is opening up an opportunity for a wider group of scholars to have access to high-quality data in the study of race and ethnicity with large samples of racial and ethnic groups. The cooperative changes the way social science data is collected, and it creates a broader space that’s more inclusive for a larger group of researchers to have access to high quality data for racial and ethnic groups and to grow their research projects. LASS: What is the impact that you are aiming for? LFY: One of the takeaways from the CMPS is to have a better understanding of the need for large samples of racial and ethnic groups. At the most basic level, we need to push the social sciences, to gather large samples beyond white respondents. In order to answer some of the most pressing problems of our day, a sample of 200 blacks or 200 Latinos won’t allow you to examine the data in meaningful ways to better understand the role of class, gender, sexuality, geography and so on. Also providing both the Call for Participation and the Survey Instrument in the language of the respondent’s choice is a mode of inclusiveness and may be important towards capturing a broader group of respondents. LASS: What are some of the solutions to challenges that your work addresses? LFY: What I hope to do through the Collaborative Multiracial Post-Election Survey is to create a space for data collection and research that is inclusive of a broader group of scholars who are interested in examining some of the most pressing problems in modern politics. Our goal is to open up the space for innovation, open up space for the growth of knowledge, and we can only do that when we decide to step outside the boundaries of social science, and say, “What do we need? How can we address pressing problems in our disciplines? Participating in innovative kinds of data collection efforts can helps us publish and grow our research agendas, but those opportunities are often cut off to some scholars, simply because they cannot afford to collect high quality data to answer their research questions. The CMPS is as an opportunity to advance our social science disciplines, and to create a more inclusive and diverse research space. There’s definitely a market for this kind of research. The problem is, we do need large samples of racial and ethnic groups to be able to tell informative and generalizable stories that impact our communities. Through the collective nature of the CMPS, we are incorporating a larger group of voices to tell those stories, and I think that’s a win-win situation. LASS: That’s great. Thank you for sharing your story, expertise, and experience with LA Social Science. Dr. Lorrie Frasure-Yokley was interviewed by Mike Nguyen, an assistant editor and contributor to LA Social Science.